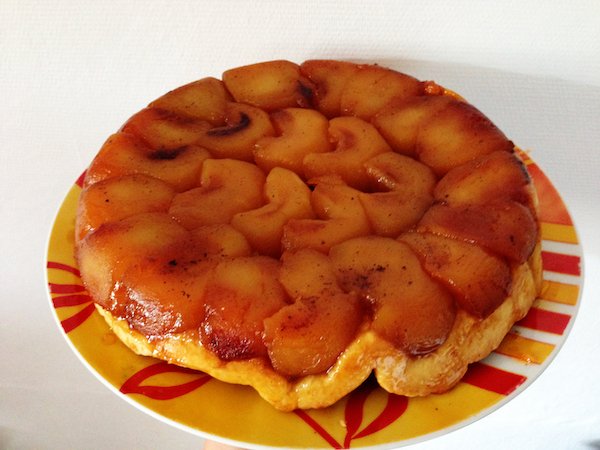 Tatin has always been a very popular desert at home. Not only become my mum does the best in the world but because it is just amazing and tasty. Light? probably not… This one was done with my sister for her birthday celebration and because we all love it, Kids included. Peel the apples and cut in half, clean and empty the center part. In a deep pie pan melt the butter and put the prepared apple standing up on the gaz with the sugar on top. Watch continuously and when the apple starts to get brown, turn over until caramelised. Add vanilla sugar. Serve slightly warm. Even better with vanilla ice cream. Sounds pretty yummy and looks great! thanks, yes really really nice.